Check out these five strategies for better sales writing and learn why the written word can be your greatest business asset or harshest downfall. When I tell people I write for a living, a lot of them look at me like I’ve confessed to being a Gilda from Wizard of Oz. They -- and you may relate to this -- think that what I do is a special skill that’s as inborn as breathing, and anyone not forged with the love of words might as well turn in their pencils as soon as school is over. I take a few issues with this. For one, writing isn’t some lottery talent ticket where only a lucky few draw the winning numbers and have the ability to craft a compelling sentence. There’s a reason 73.4% of employers look for someone who is as confident with a pen as they are with teamwork and taking leadership positions. It’s the same reason that poor writing is costing businesses as much as 400 billion dollars a year. Because writing that’s thrown together without thought of the reader or attention to detail translates to readers -- customers -- who understand less, are less engaged, and have a harder time trusting you. But strong writing -- that’s like a kind of magic. It transfers our thoughts from one another, creates better relationships, and gives our ideas a shape that others can interact with. So maybe I am a wizard after all. Here’s the good news: you can be, too. Here’s how and why you need to be for your business. What is sales writing and why does it matter? Sales writing is the art of creating enticing copy that simultaneously informs and persuades visitors to convert into customers. And copywriting, unlike content writing -- which is what you see in this article and every other blog you’ve ever read -- focuses on concision. It’s saying as much as you can as pointedly and quickly as you can. As a general rule of thumb, content writing opens the deal. Copywriting closes it. But why does this distinction matter for you? Because your customers are exposed to about 10,000 brand messages a day. And if you have to get one of them right as an entrepreneur, your copywriting -- more than your content writing -- is what you need to polish. Otherwise, if the writing you affix to your sales page is just a passing afterthought, it’ll fade into the background with the 9,999 other messages your customers see. The writing you attach to your products is just as important as the graphics, payment gateways, and every other feature you use to persuade someone to become a customer. It’s not a truth confined to small business owners alone, either. Professional marketers have long recognized just how essential a skilled word is for their campaigns. It’s one of the reasons writing is the most outsourced activity in marketing, trumping even design work. And a lot of businesses have seen great returns when they outsource their copy activities, too. For instance, by revising the writing on existing pages and creating new, copywriter-guided landing pages, one of the UK’s most high-profile cab networks was able to improve organic traffic by 15%. Likewise, HubSpot saw an almost 100% conversion increase by refocusing the words on their CTAs, content, and landing pages. OK, at this point, this might sound like more of a call-to-action for hiring a copywriter -- and if you can afford one, you can find great writers on Upwork that are eager to work with you -- but the point isn’t to harp on the need for a professional. Words matter for your bottom line. A lot. But despite what people will tell you -- people like myself who depend on our ability with a well-turned phrase to make ends meet -- copywriting isn’t hard. Seriously, it isn’t. This isn’t impostor syndrome rearing its ugly head. Producing great copywriting for your products doesn’t require hiring someone like me -- you just need the right combination of techniques, tools, and a little daring. Some of these are tried-and-true, learned by every writer in the business and repeated about equally as much, while others are a little more off the beaten path based on my experiences. Incidentally, our recently-launched sales copy generator uses many of these same techniques. So if you want to follow along or skip straight to easy-button-mode, give it a go over here and read on. When we’re in school, we’re taught to disavow all forms of writing except the third person. Even hinting at an implied first-person pronoun can put your papers on the wrong end of a red ink pen, and for many people -- especially if you developed an affinity for academic writing like me -- the thought of including yourself or your reader directly in copy feels blasphemous. But it’s a notion that you’ll have to divorce yourself from sooner rather than later because second and first-person writing is absolutely vital for copywriting. 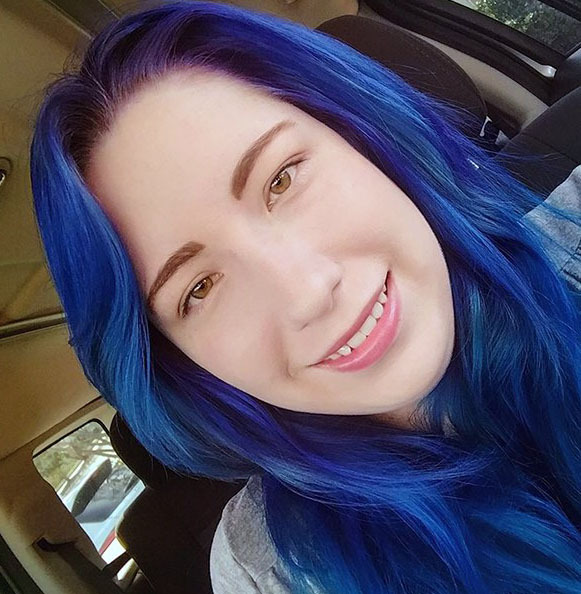 They connect the otherwise cold, dead pixels of the words to the user, breaking down the natural barriers that exist between a creator and their audience. When I talk to you, the emotional impact of what I’m saying stands a chance of resonating -- while if the user is referred to as simply “the user,” they become nebulous and disconnected. In fact, for the CTAs on your product pages and embedded buttons, first-person should be your first choice (see what I did there?). CTAs that use first-person tense convert up to 90% better than those with second-person tense. The copy on this CTA is killer. But as a best practice, mix it up. 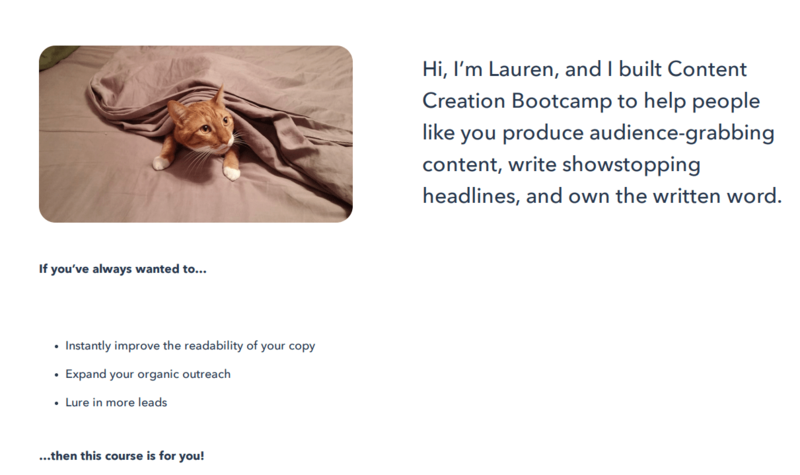 Writing an entire sales page in first-person runs the risk of sounding self-indulgent, and rather than connecting to the reader and compelling them to take action, it might give them flashbacks to (bad) trope-filled young adult fiction. You can see this mix in action on a lot of websites. Gillette, in particular, stands out. ‍Dove is another great example, as well. A quick word of warning about this approach, however. While it’s been shown to increase brand affinity and enhance consumer engagement, using second and first person language only works in cultures where collectivism is relatively low. So if your audience is primarily from a collectivist-rich culture, use caution and test the waters slowly. Much to my amusement and chagrin, after people move beyond looking at me like my job is arcane sorcery, they often ask me to lend my eyes and skill to their work. Unfortunately, while I do know the difference between a compound sentence and cumulative syntax, I’m not an editor. And you shouldn’t expect yourself to be, either. So while you should always aim for a basic understanding of the language you’re writing in and try to get it as perfect as possible, don’t punish yourself if you have a misplaced comma or use passive voice. Let’s just say that the recovery isn’t cheap or easy. Charles Duncombe, a mogul behind many internet-based businesses, says that a single spelling mistake cleaves online sales by 50%. As for catching those typos and cleaning up your grammar, there are few services better than Grammarly. 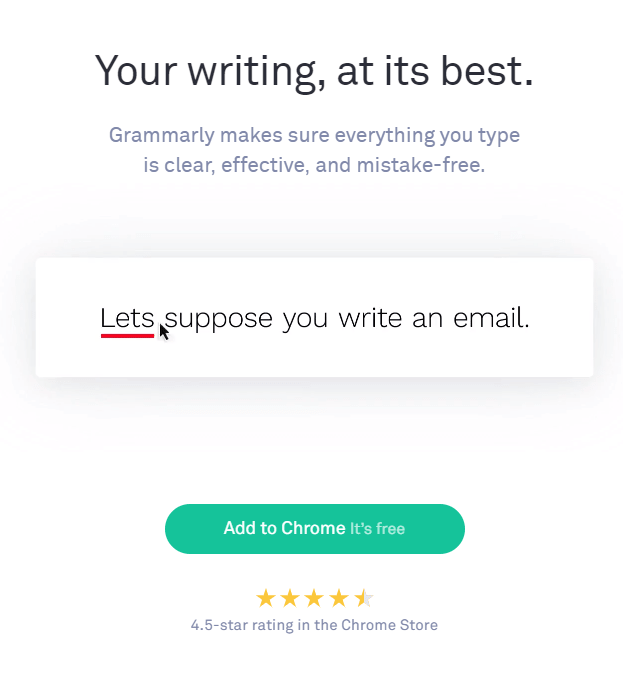 However, while I personally use and recommend everyone utilize Grammarly to improve their copy -- it’s free, it integrates with Google Drive, and works in any text field -- it isn’t infallible. Which is where we come back to the necessity of understanding the basics of the language you’re writing in. Grammarly, although brilliant and vital for my day-to-day, is still an artificial intelligence trying to understand one of the most natural constructs in existence -- language -- and it can become particularly problematic if your writing style is more creatively oriented. 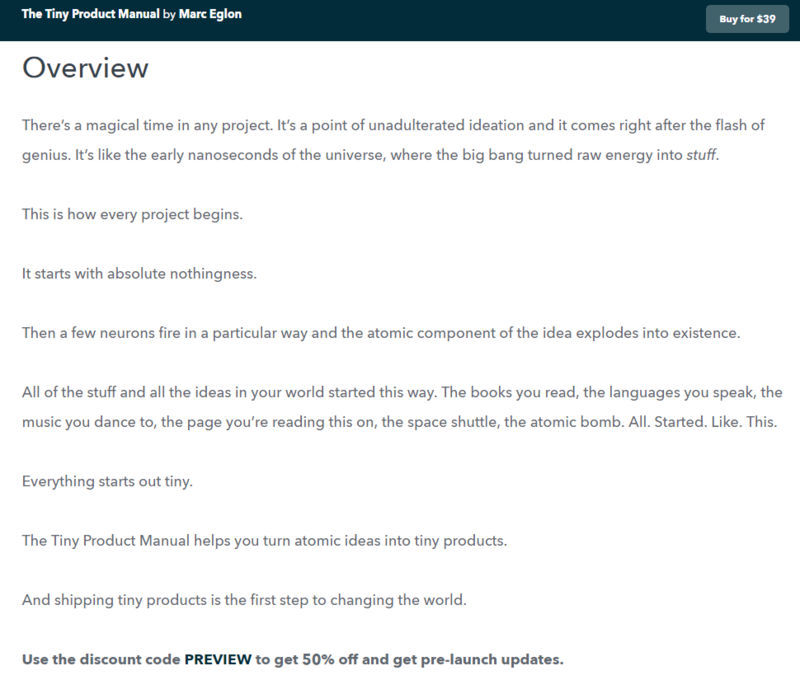 Take, for instance, Marc Eglon’s wonderful copy on his sales page for The Tiny Product Manual. This copy is a thing of beauty to me. It’s concise but poetic, inviting you to keep reading and find out how all of the pieces connect. This copy strikes the perfect balance between science, intrigue, and customer-focused language. And while it’s still stellar because it’s hard to break such solid work with a few grammar tweaks, it doesn’t have the same oomph that the real version does. Professionals don’t have perfect grammar and writing. You won’t either. Don’t let that hold you back. 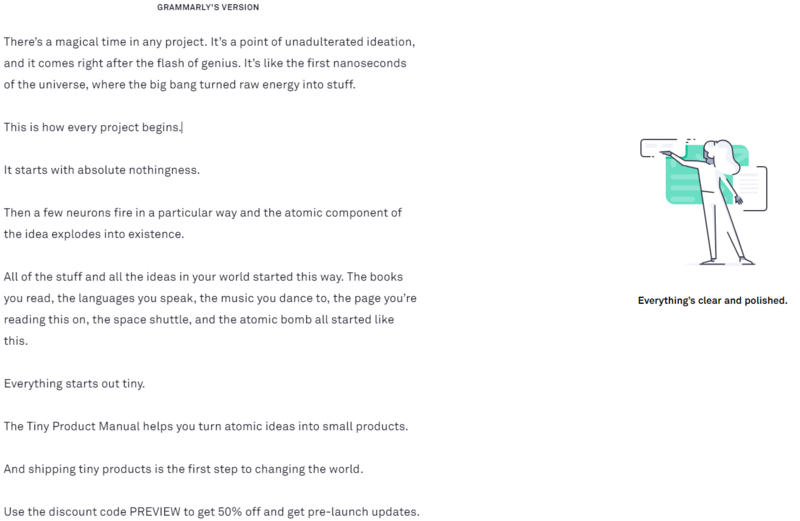 Grammarly is a must-have tool in your arsenal for copywriting (it’s also a good tool for online courses), but it’s not perfect. Get the basics of syntax down so you can make the judgment call yourself, and don’t take its AI-powered word as law. Sometimes, a little style trumps prescriptive perfection. As long as it’s readable, anyway, which is our next tip. Do you know what people don’t have a lot of? Time. If they have to bust out a dictionary or decoder to understand your website, they’re more likely to bounce than to go through the effort. Which is why, although my literary heart loves words like “axiom,” I don’t use them when I’m writing for clients, and I especially don’t recommend them for anyone trying to sell something. Readability matters. Experts recommend that your copy’s readability should be at a grade eight -- for those outside of the US, think pre-highschool -- level. This applies no matter where your audience is from, by the way. 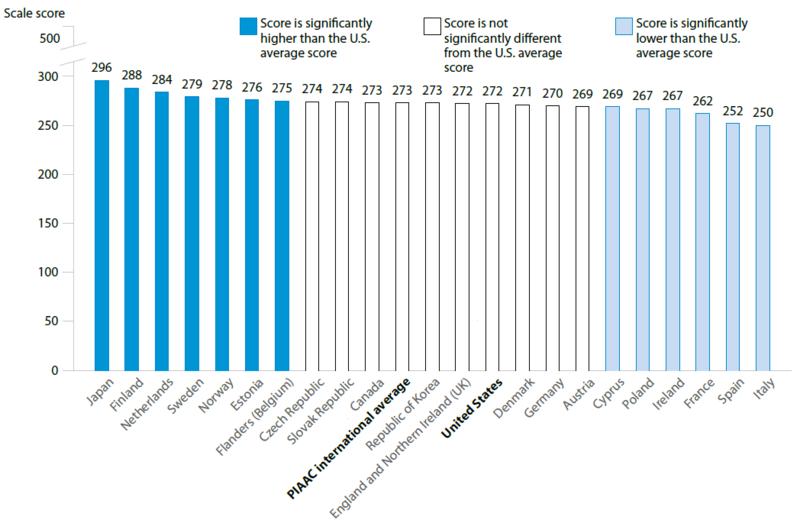 The average reading score across the globe is firmly at “level 2,” while the upper-performing countries just barely scratch “level 3” reading. A level 2 reading level indicates that readers can make low-level inferences, integrate multiple pieces of information, perform basic compare and contrast tasks, and identify document structure. At the level 3 reading level, readers can derive meaning across wide swaths of information, are able to disregard irrelevant information, and perform high-level analyses. Keep in mind that even if your audience has a high reading level, they don’t necessarily want to read at that level on your sales pages. In fact, most people prefer to read two full grades below their abilities. If you need a little help, Hemingway App is the champion for measuring and adjusting the readability of copy. It’s a simple plug-and-play editor that flags difficult sentences and gives you a quick view of the grade level of your copy. It may not be the most riveting read -- though I think Marc proved that short copy can be -- but it will be easy for your customers to glance through. The less time they have to spend figuring out what you’re trying to say, the more time they can spend responding to what you’re saying. And since that’s presumably “buy now,” that can only be a good thing. In content and design, you can’t go very far without running into studies about the “F-shaped” reading pattern and seeing eye-tracking studies like this. What these studies convey is one of the more common reading patterns on websites (but by no means is it the only one). Users rarely read the entirety of a page, typically skimming from one side to the next and narrowing in on words perceived as the most important. ‘Perceived’ is the key word in that sentence, because this pattern is detrimental to users and businesses alike -- the readers often miss important information, and the business fails to convey that information. All of which is to say that the copy on your website and sales pages should assume that users want to read as little as possible and be structured for skimming habits. 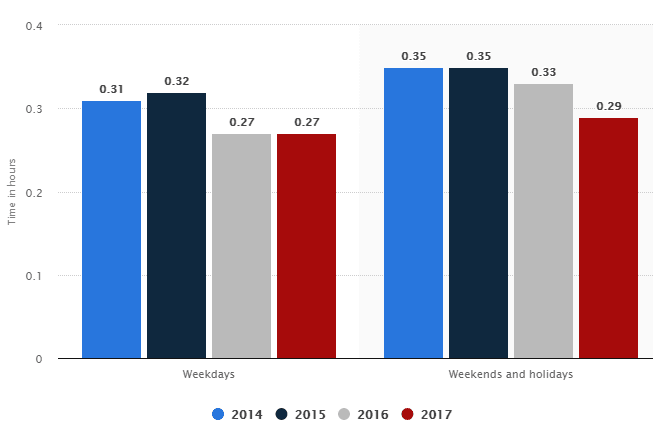 After all, the average time spent reading in the US was 0.27 hours in 2017 -- or about 17 minutes -- on weekdays, and weekends fared only slightly better. So if you write them a novel, they’re not going to spend those precious 17 minutes picking through each piece of it. Instead, research says that they’re going to default to that F-shaped pattern, and the result is that they’re going to miss critical information. Use bullet points to break up the text. Place the most important words at the “front” or left-side of the page. Utilize multiple heading levels (in this article, there are three -- the title is an H1, the subcategories are H2s, and this category is under an H3). Format important information with a bold effect. Put the most important information -- like the text from our sales copy generator -- at the top of the page. The first two lines in copy are prime real estate for reading. Avoid generic CTAs like “get started.” Not only are they easy to skim past, but they’re also often misleading for first-time visitors. Luckily, our sales copy generator produces a skimmer-ready result. Check it out. 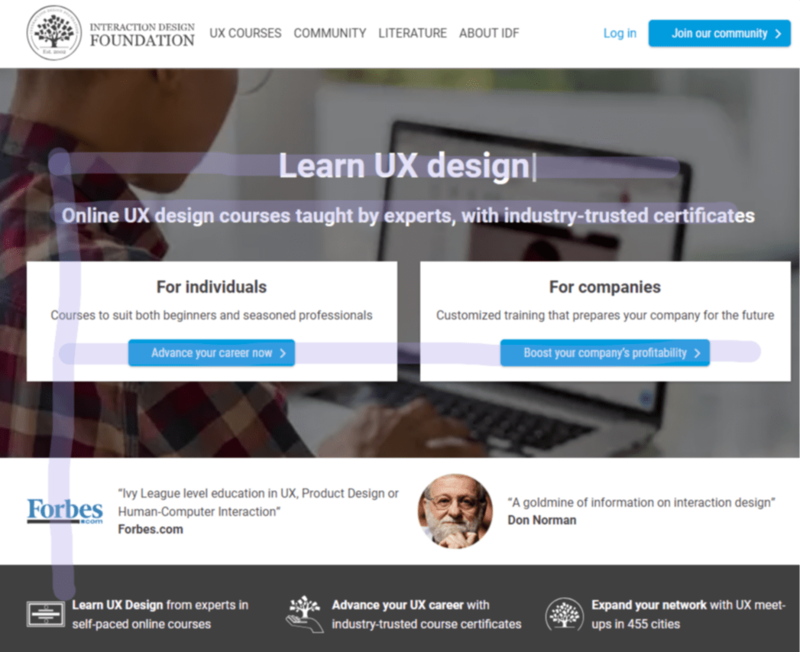 As another example, take a look at how the Interaction Design Foundation has their homepage set up. The copy is spaced out, simple, and uses formatting to draw the skimmer’s eye to the most important parts of the page. Following the “F” shaped pattern, we see value propositions and calls-to-action, even if we skip reading the rest. Keep skimmers in mind if you want them to do the same for your business. Did you notice that the example in the last tip included social testimonials? Your pages should include them, too. 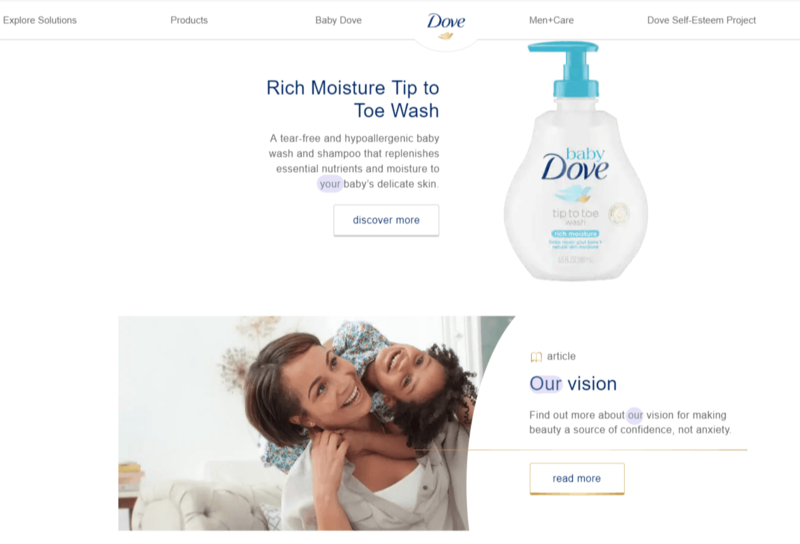 Whether it’s your landing or product pages, if you’re looking for copy to compel your visitors into becoming customers, look no further than the people who’ve already made the transition. Sales page testimonials, which are just direct quotes from your customers, are some of the most powerful forms of copy in marketing. In fact, they’re the most effective copy you can put on your page for conversions by a long shot. And as a bonus, they’re also some of the fastest. After all, you don’t have to agonize over word choice or reading patterns when it’s someone else’s words you’re putting down. You just have to let your customers do the talking -- and selling -- for you. It’s a win-win on both sides of the conversion equation. In addition to cutting out the work for you by using someone else’s words, it also helps users locate the reviews they’re going to seek out before they make a purchase in one fell swoop. And they will look for those reviews. 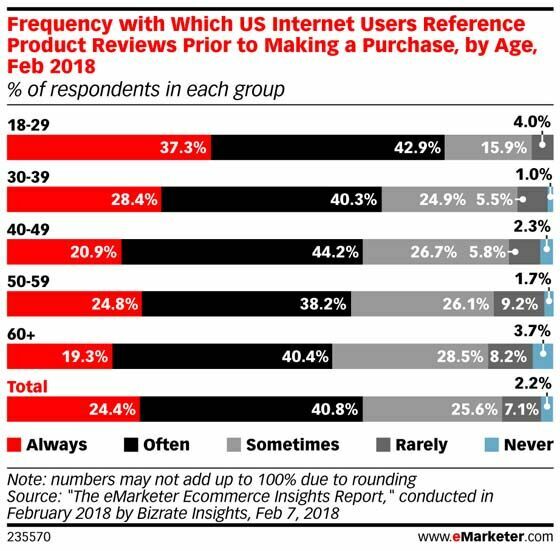 Only 2.2% of consumers said they rarely or never looked at reviews before making a purchase. Plus, adding those testimonials into your page can increase conversions by up to 270%. If you’re curious about how this looks on your pages, you can see this strategy in full-swing on Aja Edmon’s storefront and sales pages. Notice how she uses bold formatting to highlight the most important parts of the testimonials to draw your attention when you’re skimming? Sometimes, the best way to write for sales is to let someone else do it for you. 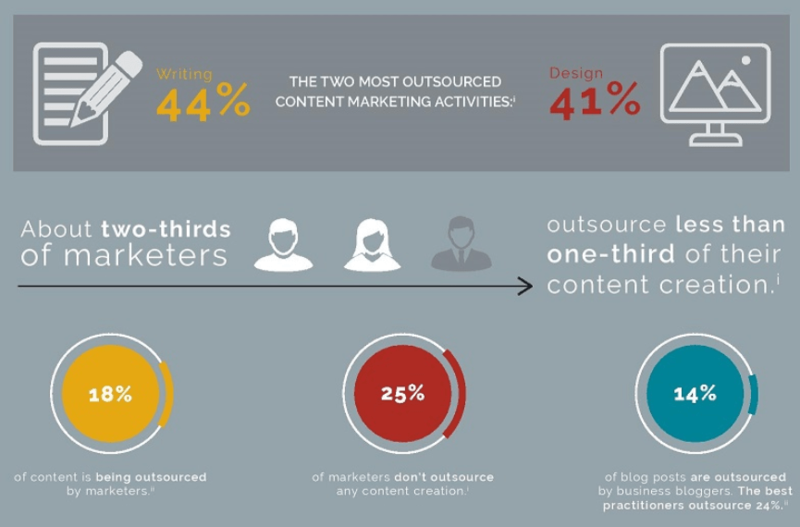 Sales writing, or copywriting, is the most outsourced activity in marketing -- so you’re not alone in feeling like someone else should do it. Strong copywriting closes the deal and creates a bond with your customers from the moment they land on your site or page. But while it may be intimidating, writing for your web pages isn’t hard -- you just need a little practice and the right combination of techniques and tools. Start by incorporating first and second person pronouns into your copy. It may feel unnatural, but trust me, you’re going to love how it increases brand connection. And don’t get hung up on every punctuation mark. While it’s a good idea to brush up on the basics of the language you’re writing in, writers seldom have perfect grammar on their own. Above all else, heed the readability of your copy. It needs to be simple, plain, and easy to read. Skimming is prolific in web users, and if you’re not writing with that in mind, you’re doing your business and customers a disservice. Let other people do the talking for you in your copy with sales testimonials. It’ll save you time and improve your conversions. Usually, this is where I’d make a sweeping caveat about how writing isn’t for everyone, but in this case, I’m breaking protocol. So get out there and start producing better copywriting for your products, and when you’re ready to put them up for sale, give Podia a free spin to see your words -- and sales -- come to life.